The Series 2420 two-stage regulators are specifically designed as an economical instrument for use in non-critical applications involving inert and non-corrosive gases. They are particularly suited to applications which will not be closely monitored and a constant delivery pressure is required from full to empty cylinder. The neoprene diaphragm provides very sensitive pressure control. The Series 2420 should not be used in applications where inboard diffusion of atmospheric impurities water and oxygen or the outgassing of hydrocarbon based impurities will negatively impact the work being performed. 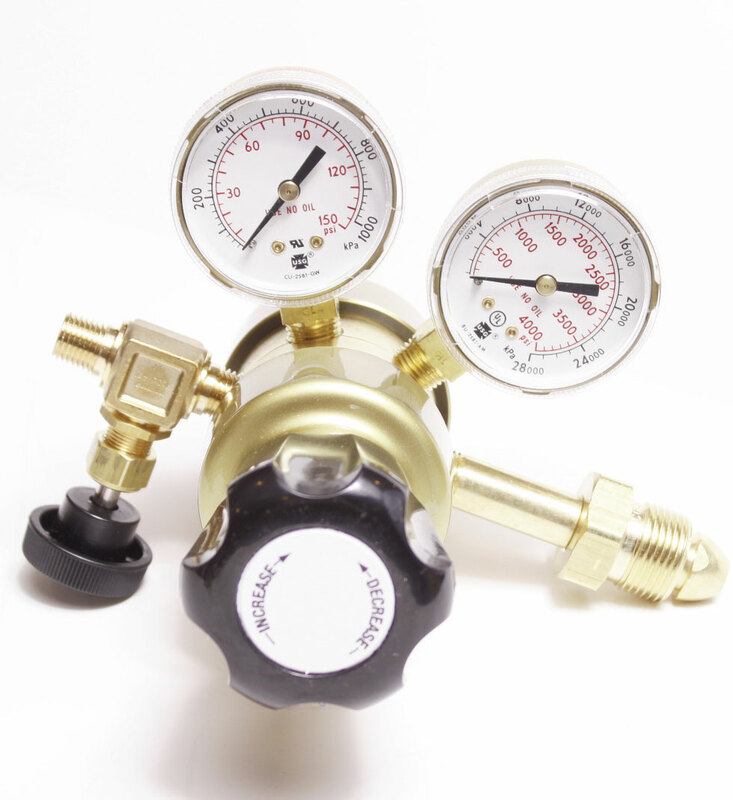 The Series 2420 regulators are ideal for use with inert, flammable, and hydrocarbon gases used in non-critical specialty gas applications when constant delivery pressure is required from full to empty cylinder.